The Allessanda lamp by Art For Kids features intricate carving adorned with a gold trim on the edges. 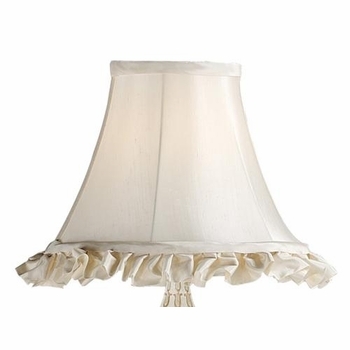 Complete the lamp with a beautiful ruffled shade. 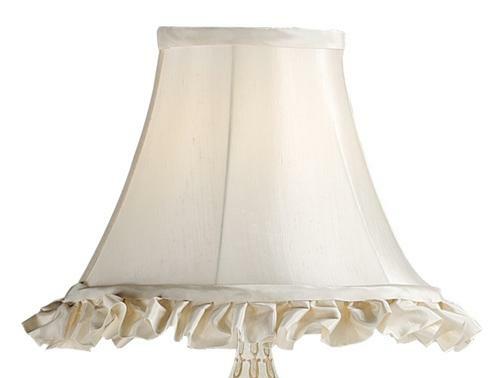 (Shade additional cost - not included). 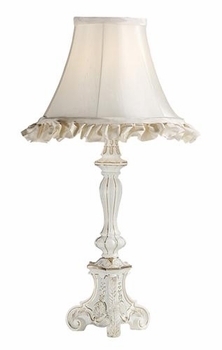 The lamp is a perfect finishing touch and beautiful in any room! 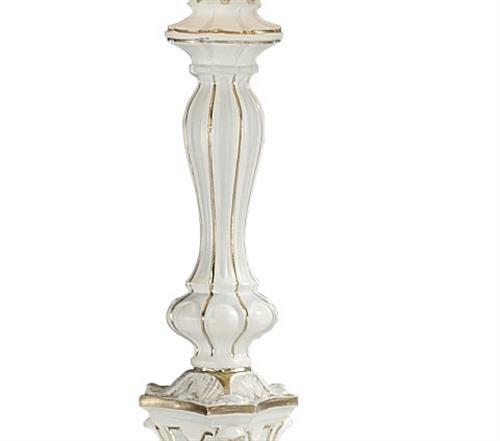 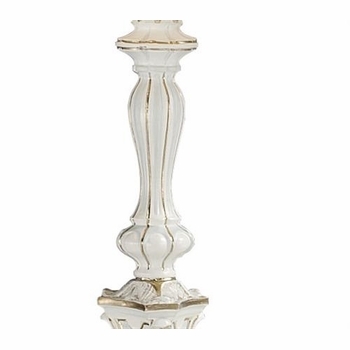 Dimensions - Width: 7" , Depth: 7" , Height: 20"
The lamp is custom made to order and ships directly from the manufacturer. 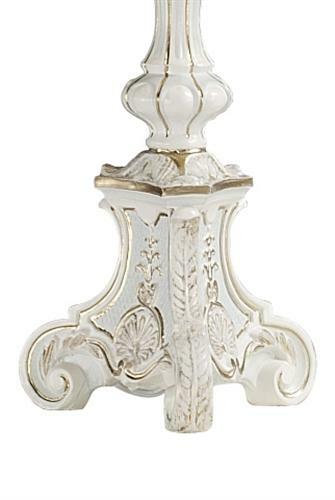 There are many finishes and motifs, however, please note that not all finishes and motifs can be made in all colors. 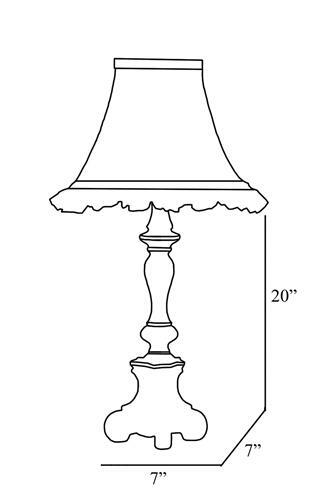 For further information or to speak with one of our design associates, please call us at1-203-655-0185 . Wood chip samples available upon request.